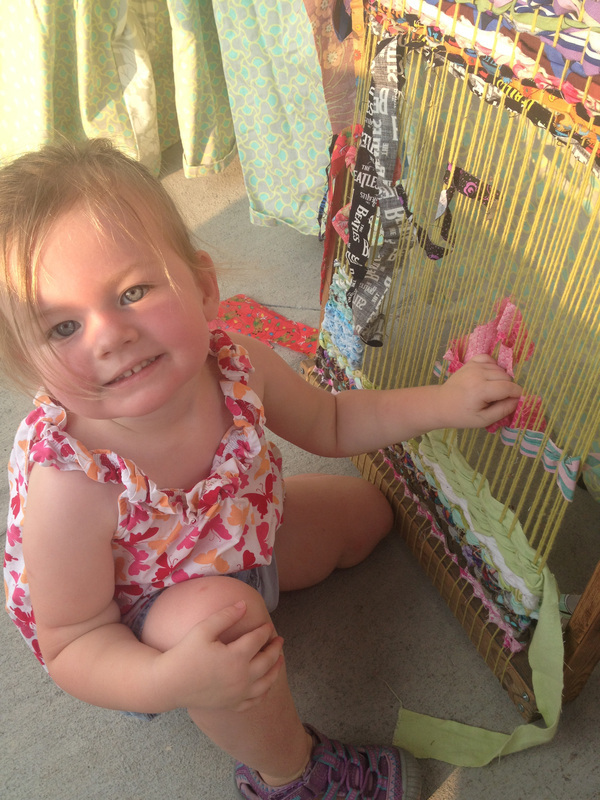 The Community Weaving Project was a project that was born out of the desire to have a non-monetary interaction, making collaborative art out of recycled materials with patrons of the Tate Street Festival, a popular public street festival in Greensboro, NC. I had a collection of fabric strips left over from cutting fabric for Flying Bulldogs, Inc., so I built a loom out of reclaimed bed slats, and made a warp using cotton carpet warp yarn. 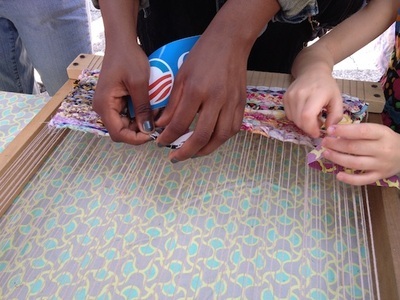 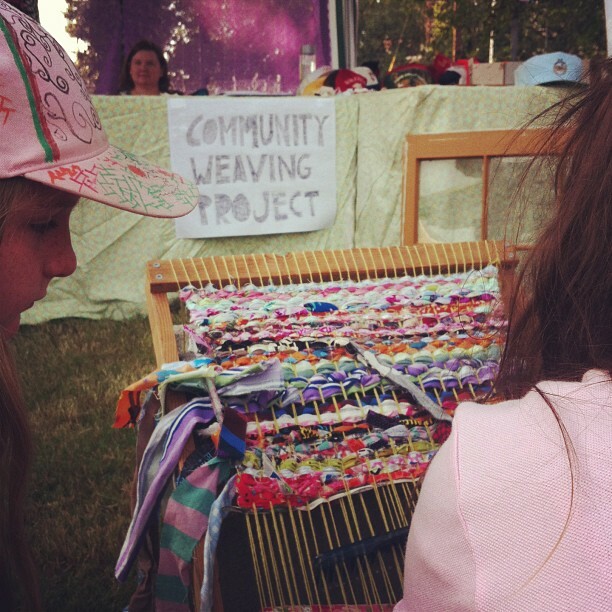 On the day of Tate Street Festival 2012, I had 78 community participants add to the weaving. 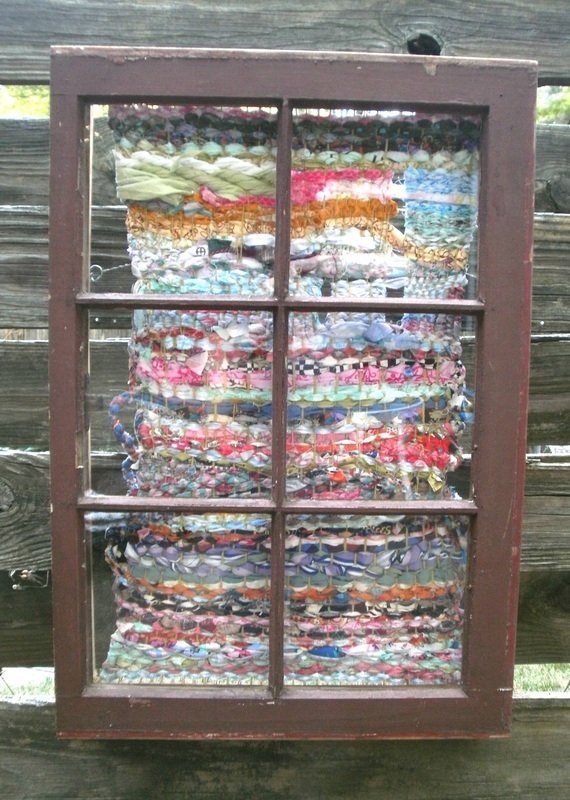 I completed Community Weaving Project #1 by filling in the last blank areas with additional weaving, and then mounting the loom to a reclaimed historic window using brass mending plates. It is hangs using heavy-duty picture wire. 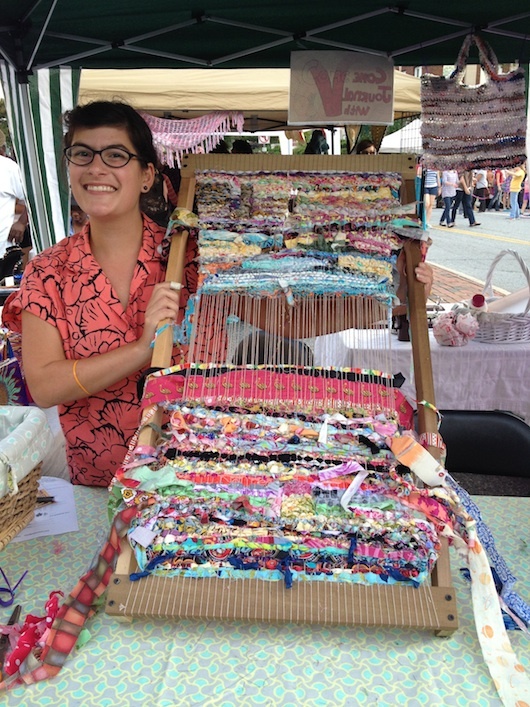 Community Weaving Project #2 was completed by participants at the Blandwood Mansion's 2013 Ice Cream Social, and during several weeks of The City Market 2013. 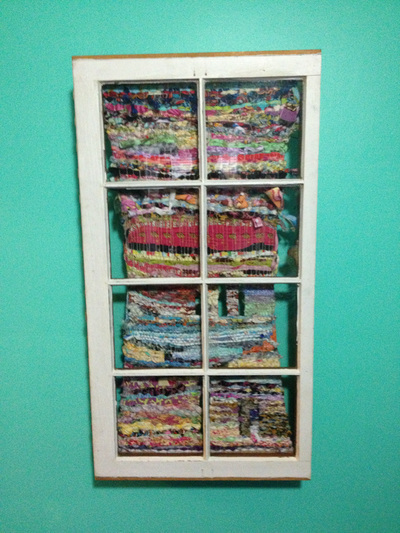 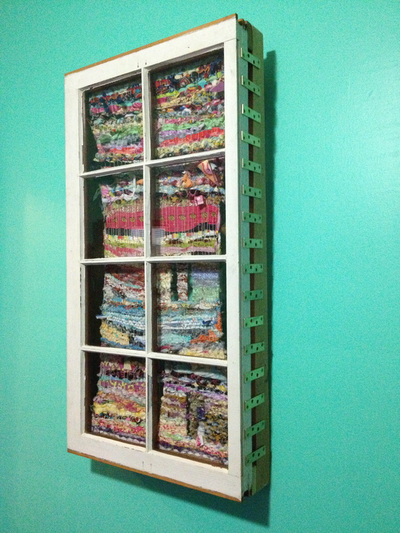 Again, it was finished off by taking care of loose ends, and mounting the handmade loom to a historic window, this time from Architectural Salvage of Greensboro. The Community Weaving Project #3 was started at Tate Street Festival 2013, and worked at for several weeks of The City Market 2013. 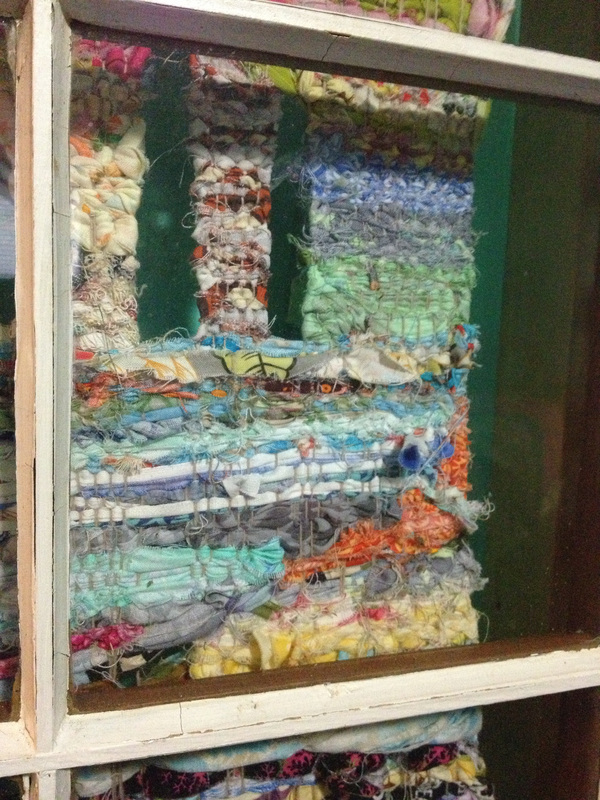 It is not yet completed. When this loom is filled, it will be mounted to one panel of a louvered door that I found on the side of the road in 2005, and have carried with me through five different living spaces.